Desktop Linux is reporting that several people inside of Dell have told them that Dell has decided to make Ubuntu 7.04 available on some of its laptops. Before this, all I had heard was that Dell was going to make some Linux distribution available on some laptops but had not committed to which version to go with. I am still uncertain of the reliability of this report, but it sounds plausible. I haven’t really done that much with Ubuntu, yet, other than some test driving. But, it looks very capable, and I can tell that, in principle, I could use it alone on my desktop without ever resorting to Windows on it. (But, I suspect I’ll keep my dual-boot.) Does everything I need or want it to, very satisfactorily. If you’re looking to make a break from Windows and don’t want to go the Mac route, this could be a path for you. You can either install it yourself on an existing laptop or get a brand-spanking new one from Dell with it pre-installed (if the reports are true). Update: I guess the news of this is more official than I thought as Fox News is now reporting that the deal between Dell and Ubuntu will be announced later today. 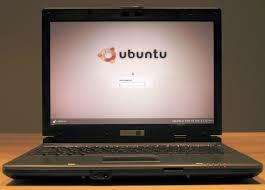 This entry was posted in Linux and tagged Dell might, new laptop, Ubuntu.